Apparently this theorem holds true only when the function in question is both differentiable and continuous, I tried to think about it as a car travelling at a certain average speed would mean that it certainly touches its mean value at least once. I am not able to understand why this is not true if a function is continuous but not differentiable, shouldnt continuity be the only factor? Why does i need it to be differentiable? If function is not differentiable, then $f'(c)$ is meaningless. Does this contradict the fact that we cannot apply the mean value theorem? 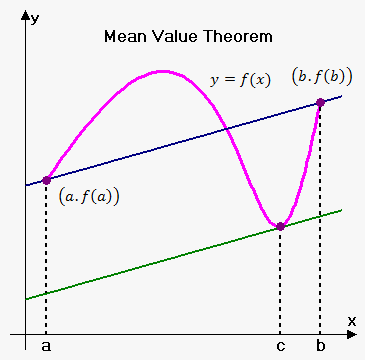 Why do we call this theorem in vector valued functions “mean value theorem”? Why does the Mean Value Theorem require a closed interval for continuity and an open interval for differentiability? LMVT and Mean value theorem for integrals.